For the 300th anniversary issue of the UK Music magazine MOJO, a special collection of tracks was put together and attached to the issue, which commemorates The Beatles’ White Album. Also included in the magazine is an piece with The Edge which looks back to issue #1 of MOJO magazine which we include below. The CD, titled The MOJO Anthology includes an exclusive new mix of U2’s “Lights of Home”, mixed by Mark ‘Spike’ Stent. Stent has collaborated with U2 in the past, notably on the album Pop and on the single “Hold Me, Thrill Me, Kiss Me, Kill Me”. Of the tracks on the album, six are previously unreleased, including the U2 mix. This isn’t a dance remix. It’s more subtle, an alternate mix of the recording that found its way onto the album. Changes in levels on instruments, a bit grittier than the original but not a full on remix the track. The original mix of “Lights of Home” on the album was done by Jacknife Lee. It is known in the lead up to the completion of the album, the recorded tracks for some songs were sent to multiple producers to have a trial at the final mix of the song, “You’re the Best Thing” had been sent out in this manner. It is believed that this Spike Stent Mix is the one that was played for fans gathered in Amsterdam for the video shoot for “The Blackout” in July 2017. For those interested, MOJO does sell issues direct through Great Magazines, and this issue can now be purchased. 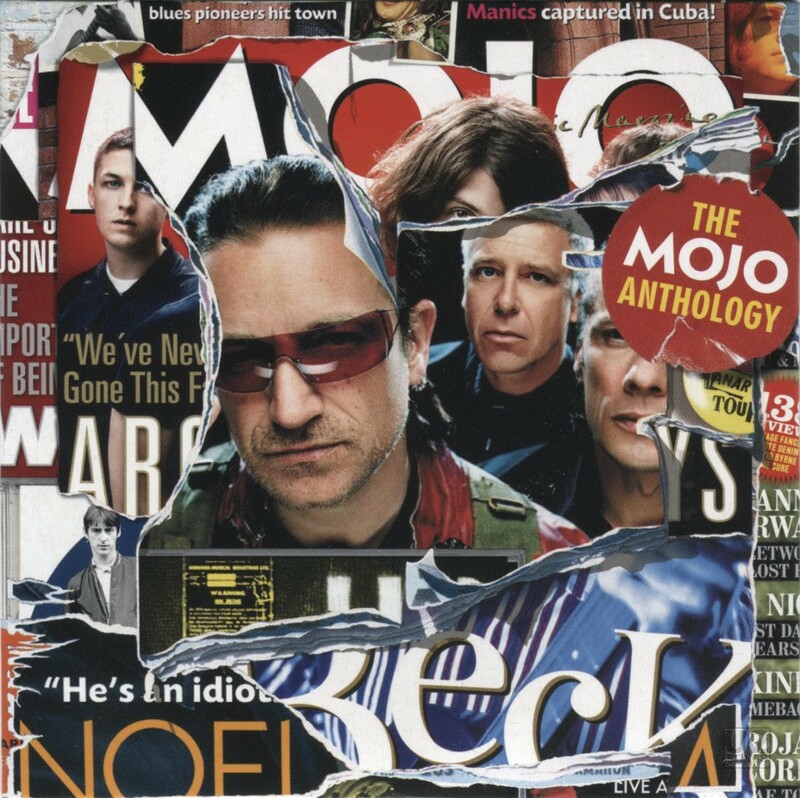 The cardboard sleeve cover of the CD is made up of a collage of torn pages from past MOJO magazines. U2 doesn’t contribute to magazine mounted CDs often, but have on a handful in the past. The last notable inclusion of an unreleased track on one of these compilations was a Q Magazine compilation in 2011 celebrating the 20th anniversary of Achtung Baby. We have looked at other cover mounted U2 tie ins in our History Mix column. The CD is attached to the November 2018 dated issue, issue #300 of the magazine, which was released at the end of September to newsstands in the UK, and is available now. The CD is not sold separate from the magazine. Import copies of the magazine may be available at a later date in your country, but if waiting, we suggest checking with the retailer to ensure they will get the CD and magazine in, and not just the magazine.